The photos continue to roll in. This one is from Millicent Brody's Garden. 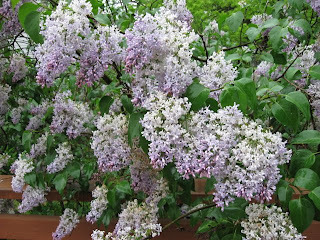 These lilacs are our signature signal for warm weather. Purchased from Williams Nursery. Guaranteed to bloom every year.